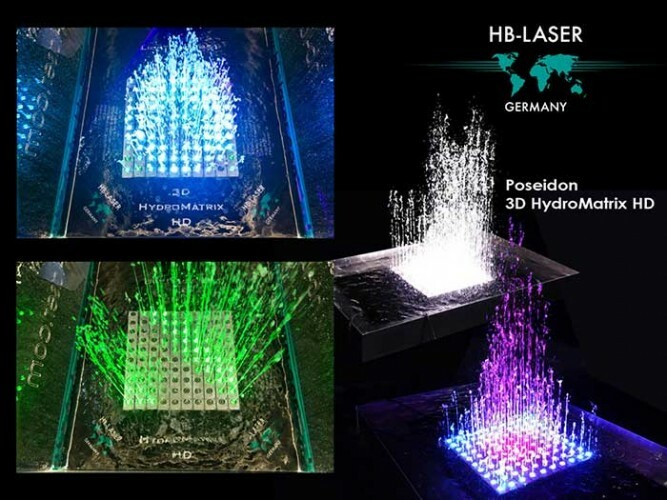 Germany - Laserworld launched several new products at this year’s prolight+sound, amongst them also two world-first releases: The RTI NEO SIX RGB beam arrays and the HB-Laser Poseidon 3D-HydroMatrix HD. 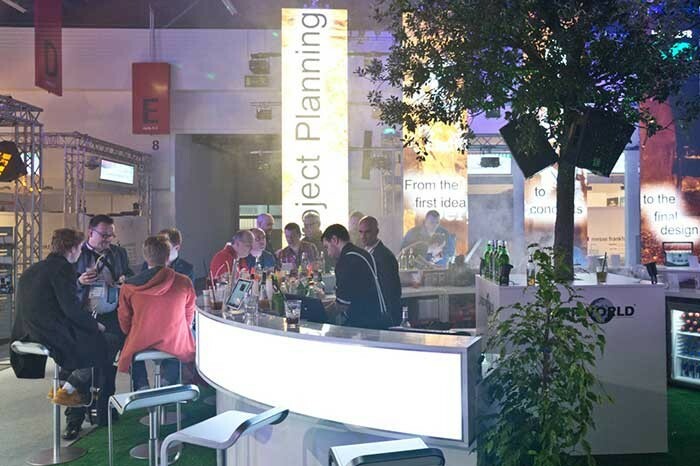 The stand concept was completely different to past years, as there was no actual show on display at the booth, but a huge bar surrounding a tall tree in the middle of the stand. 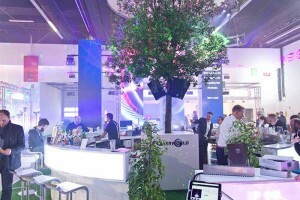 Several lasers of the new tarm Series and others created ambient laser effects and a multitude of laser of the Garden Series illuminated the tree and the bar with hundreds of tiny light dots. A specially created “Sweet RGB Dreams” shot was presented to customers at the bar – RGB representing the base colours for the utmost whitelight laser systems now available. Cocktails such as Mojito, Caipirinha, Piña Colada or Cuba Libre were served at the bar, but of course the Laserworld Group had a spectacular show on display as well: the PRG Stage in the “Festhalle” was exclusively equipped with laser systems manufactured by the Laserworld Group – more than 400W of laser power. 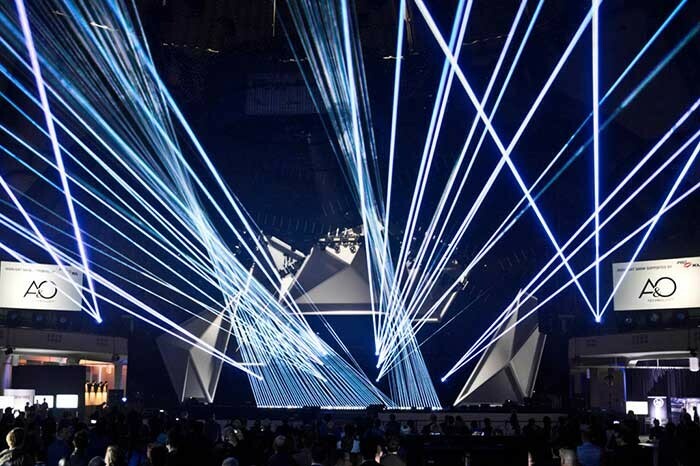 The brand new RTI NEO SIX RGB white light beam arrays with analog modulation and beam positioning debuted there – in a row of 12 units, that summed up to 72 laser beam outlets. Other new products were the Laserworld Showeditor FREE, free ILDA laser software, and the new Laserworld Proline Series with the PRO-800RGB and the PRO-1600RGB. These Proline units have an SD-card playback feature, so they perfectly match with the free Showeditor laser software. 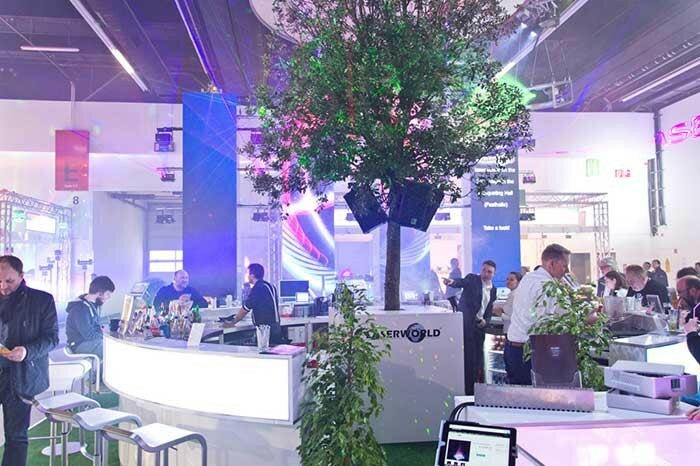 In addition to those, the Laserworld Group welcomed tarm as a new brand on the stand this year for the first time. Tarm debuted well with a brand new product line – the tarm Series – that was designed as successor to the RTI ATTO and RTI FEMTO units – but at a price level below the SwissLas Pure Micro Series. So the tarm Series well fit the price sensitive market and still deliver high quality products. It was presented with three different products in different power ranges: tarm two, tarm four and tarm seven.